GENERAL DIRECTIONS: PREHEAT OVEN TO 350 DEGREES. COMBINE PACKAGE(S) IN A MIXING BOWL. ADD 2 EGGS, 1/4 CUP MELTED BUTTER OR MARGARINE, AND 1/8 CUP WINE*. STIR UNTIL BLENDED. POUR INTO A GREASED 8 X 8 INCH PAN OR SPRAY THE PAN WITH A NON-STICK COOKING SPRAY. BAKE 20-25 MINUTES OR UNTIL BROWNIES BEGIN TO PULL AWAY FROM SIDES OF PAN. DO NOT OVER BAKE. 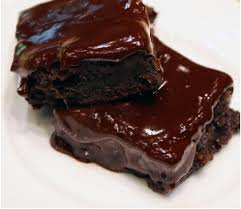 Amazing wine brownies, extra chocolate mixed in delicious brownies to put you in a state of relaxation. 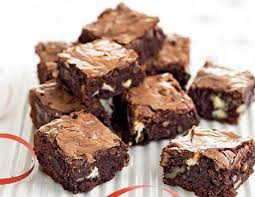 Amaze your friends and your pallet with our delicious Rabbit Creek Wine Brownies. 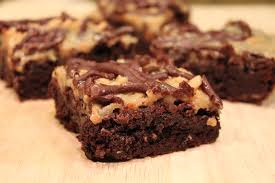 Amazing Wine Brownie Mix, Gourmet Brownies! INGREDIENTS: SUGAR, UNBLEACHED WHEAT FLOUR (WHEAT FLOUR, MALTED BARLEY FLOUR, NIACIN, IRON, THIAMIN MONONITRATE, RIBOFLAVIN, FOLIC ACID), COCOA AND CHOCOLATE CHIPS (CHOCOLATE LIQUOR, SUGAR, SOYA LECITHIN (ADDED AS AN EMULSIFIER), VANILLIN (ARTIFICIAL FLAVORING)). Chocolate, caramel, toffee and wine. What a decadent brownie! SOLIDS, SOY LECITHIN, VEGETABLE MONO & DIGLYCERIDES, SODIUM BENZOATE (A PRESERVATIVE), NATURAL & ARTIFICIAL FLAVORS, BETA CAROTENE (COLOR), VITAMIN A PALMITATE ADDED), PARTIALLY HYDROGENATED COTTONSEED OIL, SALT, LECITHIN, MAY CONTAIN TRACE AMOUNTS OF ALMONDS, PECANS, CASHEWS, PEANUTS,MACADAMIAS)). Not a significant source of calories from fat. Not a significant source of trans fat. 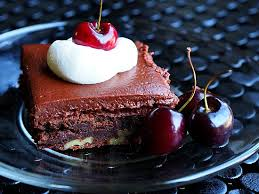 What more can you ask for in a brownie mix than cherries and wine? These "special" brownies are quick and easy to make you pick the wine of your choice for the mix then just add some eggs and butter. Within minutes you will be serving delicious chocolate brownies that will send even the most discerning taste buds racing. Drunken Cherry Wine Brownie Mix, Gourmet Brownies! INGREDIENTS: SUGAR, UNBLEACHED WHEAT FLOUR (WHEAT FLOUR, MALTED BARLEY FLOUR, NIACIN, IRON, THIAMIN MONONITRATE, RIBOFLAVIN, FOLIC ACID), COCOA, RED TART CHERRIES AND NATURAL AND ARTIFICIAL FLAVORING. What more can you ask for in a brownie mix than nuts and wine? These "special" brownies are quick and easy to make. You pick the wine of your choice for the mix then just add some eggs and butter. Within minutes you will be serving delicious chocolate brownies that will send even the most discerning taste buds racing. RIBOFLAVIN, FOLIC ACID), COCOA, AND PECANS. CONTAINS WHEAT AND TREE NUTS INGREDIENTS. You can use any dark wine with this "special" brownie mix that is full of raspberry flavor. 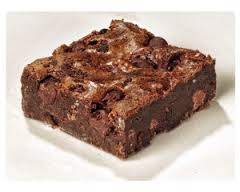 You can use any dark zinfandel wine with this "special" brownie full of chocolate chips. 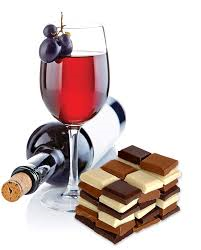 Wine and Chocolate! Can we get enough?! INGREDIENTS: SUGAR, UNBLEACHED WHEAT FLOUR (WHEAT FLOUR, MALTED BARLEY FLOUR, NIACIN, IRON, THIAMIN MONONITRATE, RIBOFLAVIN, FOLIC ACID), COCOA, WHITE CONFECTIONERY BAKING CHIPS ((SUGAR, PALM KERNEL OIL, NONFAT MILK POWDER, WHOLE MILK POWDER, WHEY POWDER, PALM OIL, SOY LECITHIN (AN EMULSIFIER) AND VANILLA)), PEANUT BUTTER CHIPS ((PARTIALLY DEFATTED PEANUTS, SUGAR, PARTIALLY HYDROGENATED VEGETABLE OIL (PALM KERNEL AND SOYBEAN OIL), CORN SYRUP SOLIDS, DEXTROSE, REDUCED MINERALS WHEY (MILK), CONTAINS 2% OR LESS OF: SALT, VANILLIN, ARTIFICIAL FLAVOR, SOY LECITHIN)) AND CHOCOLATE CHIPS (SUGAR, CHOCOLATE LIQUOR, COCOA BUTTER, BUTTERFAT, SOY LECITHIN ADDED AS AN EMULSIFIER AND VANILLA).